Representing iconic gay-heavy neighborhoods of Brooklyn and Manhattan, Congressman Jerrold Nadler was an early proponent of gay rights and fighting HIV. 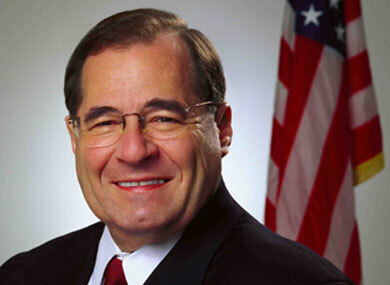 Representing iconic gay-heavy neighborhoods of Brooklyn and Manhattan, Congressman Jerrold Nadler was an early proponent of gay rights and fighting HIV. As bullish as the political veteran can be, he also has an encouraging optimism about the prospect of national marriage equality. He discusses that, his early showdown with Newt Gingrich, and what needs to happen to get antiretroviral drugs to people with HIV. The Advocate: You represent several areas with a heavy concentration of gay and lesbian constituents. I'm wondering how proactive the gay community in your district is. Have they influenced the bills that you've involved yourself in? Rep. Jerrold Nadler: I have a very interesting district. It probably the largest district with the most openly gay and lesbian people in the country. On the other hand, I also represent Borough Park, which carries all the Hasidim [members of an ultra-Orthodox Jewish sect]. I don't know if you know who the Hasidim are, but they have the same social attitudes as Jerry Falwell. But my district has been historically active. Stonewall is this district. When I was starting out, on the Upper West Side, I was a district leader for my Democratic club. We had two gay male and two lesbian female leaders. We were the only Democratic club around with gay leaders. The local gay community is still quite active. They were especially mobilized this year on the gay marriage bill in Albany. But they were also big supporters behind [the Uniting American Families Act] and the repeal of the [Defense of Marriage Act], the Respect for Marriage Act. Some thought it was going too far, and they thought it might be more appropriate to ask for more obtainable goals, but I feel strongly that we should start the fight for [UAFA]. It's a very straightforward bill that gives basic rights to people. How did you become such a champion on an essential but no-frills bill like the UAFA? I didn't see it as a major bill in the sense of affecting a lot of people but I thought [present immigration law] was terribly unfair, and current laws treat people with gratuitous cruelty. I figured, what percentage of the population is gay, and what percentage of that population also falls in love with a foreigner? Obviously, it's rather low, so I figured a small percentage of people would be outwardly supportive of this law. I didn't expect to have a major campaign, but I was surprised by the amount of support that's come in. Forty thousand couples in the U.S. are affected by this. The bill is very important because it's about keeping families together. But if you have gay marriage legal in the whole country, you wouldn't need the bill. Of course I favor gay marriage, but I figured UAFA would be a good stepping stone for that. Several pieces of pro-gay legislation have been reintroduced in Congress in the last term that lost momentum in previous terms. Have there been any particular items that have garnered unprecedented amounts of support upon reintroduction? Yes, the Respect for Marriage Act has gone from five to 124 cosponsors in a year and a half. You can see where the issue of gay marriage is going — it's another inevitability. When "don't ask, don't tell" was first enacted in 1993, I was one of the few Congress members who were against it from the beginning. Now we've been able to do away with it. My view is that the progress of the country on all these kinds of issues recognizing minority groups is getting better. We've come a long way, and we'll go further. Was it difficult for you to oppose "don't ask, don't tell," which was such a contentious bill, so early in your congressional career? Well, I don't think it was. What makes it difficult, I suppose, was because [President Bill Clinton] supported it, so I was a minority in my party. I don't think it was about being a freshman. It's asking whether you believe whether this is right for your district and whether you believe the leaders of your party.